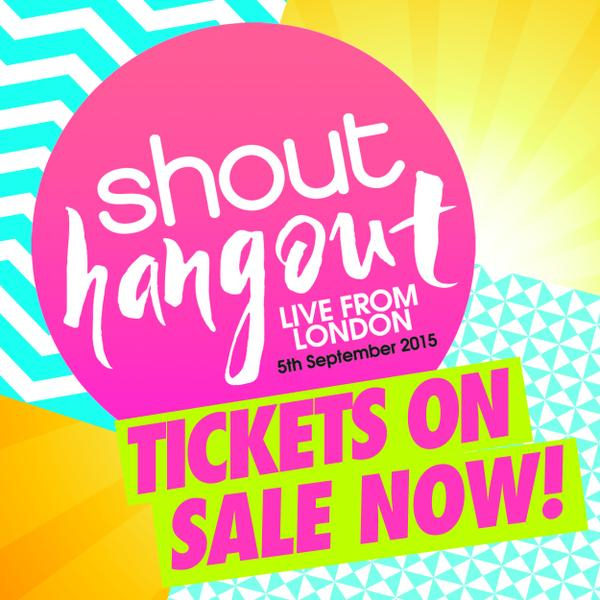 We're so excited that Estelle has been invited to Shout Magazine's first ever reader hang out in London! Read more about the event below and click here to book tickets! Becky from YouTube channel TalkBeckyTalk will be revealing what it’s really like to be a YouTuber, along with her sister Holly! 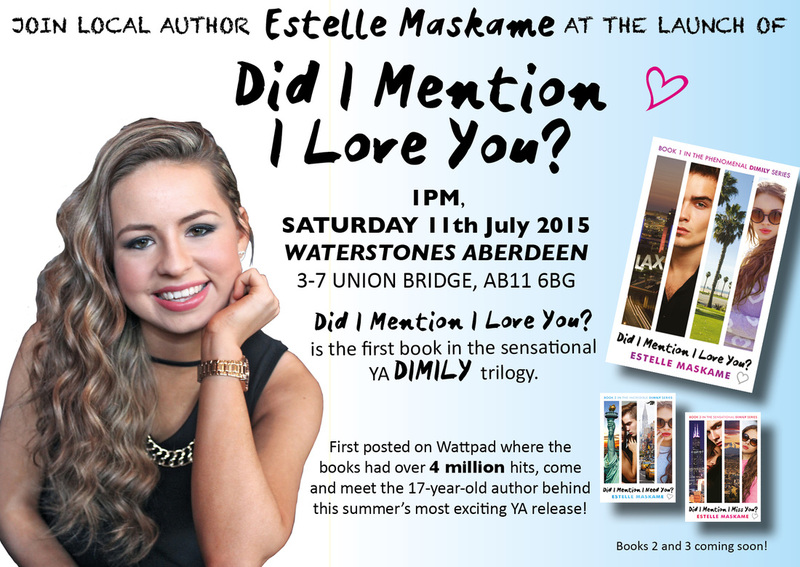 Teen author Estelle Maskame is joining us to talk about her amazing book Did I Mention I Love You — and you’ll get your very own signed copy! YouTube kitchen wizard Raphael Gomes will be showing us all how to make something yummy! Gorgeous YouTuber make-up artist Anchal will be doing a LIVE beauty tutorial! Plus, we have a boyband dropping in to perform — Hometown! Make your own perfume with So…? at their awesome fragrance bar! Drink Me Chai will be at your service, providing tasty chai lattes all afternoon! YouTuber TinyTwisst will be teaming up with amaze hair brand Lee Stafford to show you how to rock the latest hair trends! Click here to read more information and to attend the free event! Click here to read more on the Facebook event. Attend the Facebook event by clicking here! 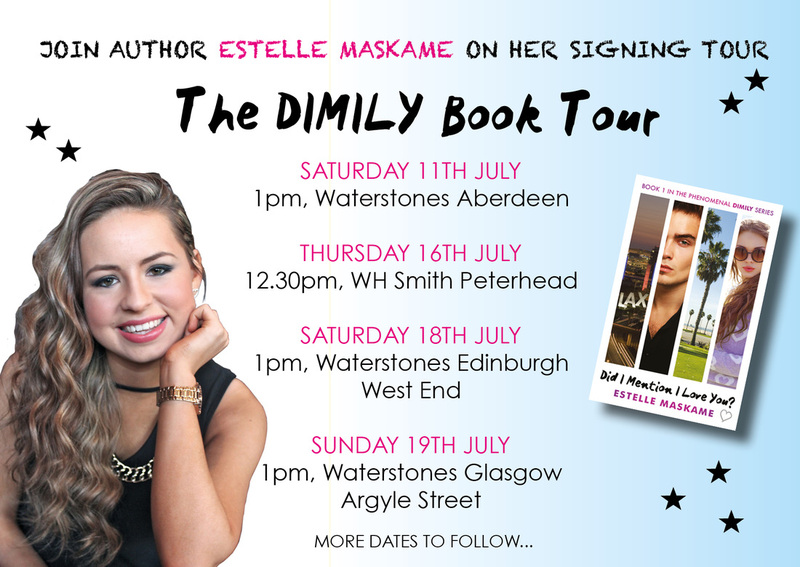 First posted on Wattpad where the books had over 4 million hits, come and meet the 17-year old author from Peterhead behind this summer's most exciting YA release! For more information on Did I Mention I Love You? click here. If you would like to arrange an event with Estelle in your bookshop, school, or at a festival, please get in touch with her publisher, Black & White Publishing. More details are available on the Contact page.